You will agree with me that certain browses are just off it for Android users, some of this browsers tends to load webpages more faster than the other, likewise some eat up huge amount of ram on your phone, but then we all deserve a browser you can always rely on to deliver in terms of speed and other functions. Without any doubt am sure if a survey is to be conducted on the subject matter, my top 5 best Android browsers would still emerged as best. Without taking much of your time, lets quickly move to the list of our best top 5 Android web browsers. 1) Chrome browser : Number one on our list is chrome browser, Google Chrome is undoubtedly my number one browser for Android. One very important features on Google Chrome for Android is the hardware acceleration, you get to experience a smoother and snappier browsing and it can pre-load pages based on what links it thinks you’ll click, Other features which makes it best is the fast webpage response, instant search results among others, it loads the webpage just the way it is, however i won’t recommend for you if you are the type that downloads large files. 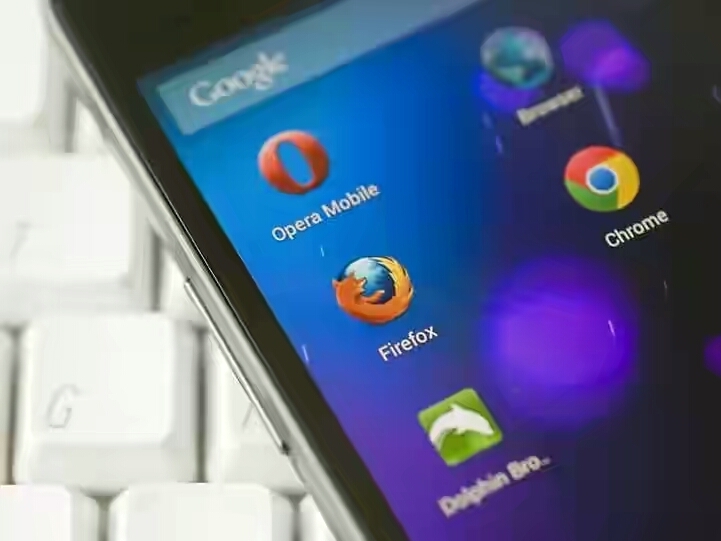 2) FireFox browser : Second on my list is Firefox as it is undoubtedly one of the best browser for Android, am sure many of you uses this on your computer and you know how it feels, With Firefox browser for Android you can swipe to alternate between sites you visit the most it will be on the homepage which makes it easier to access. It also features guest browsing, which can be initiated, meaning that somebody else who uses your device will not be able to see your browsing history, passwords or bookmarks and also private browsing tab which makes Firefox not track your browsing history and will not keep cookies or other temporary Internet files. In dolphin browser you can auto filling in passwords, block ads, adjust the brightness of the page, full screen the browser, add a speed dial page and block pop-ups automatically. Another great feature about it is the speed when loading web page, similarly the download speed is superb. Dolphin browser download smoothly and faster without failing or corrupting the file especially if the Dolphin Jetpack is installed. 4) Ucweb or UC browser for Android : without any doubt A lot of people here in Nigeria uses UC browser when downloading especially if it’s a very large file. The major feature of UC browser is the ability to download a very huge file without failing and with a great speed. It incredibly loads a page extremely fast especially on a high Internet connection and you can instantly switch between recently visited pages without the need to reload. It also got a night mode feature which helps to read without discomfort in the eyes during the night. And last but not the least is …..
5) Opera browser : Many opera users might not agree with the ranking given to their beloved browser, as they believed this is sure the best browser, well sorry to disappoint you oo, this isnt for me, however it not being my number one browser dosnt mean its not a great Android browser, opera is absolutely good, especially in the aspect of data management, Opera mobile is fast, light and of course smooth but not so good for download. Note: the list is based on author opinions, and shouldn’t make you feel less of your browser.